Bukar Modu, a detained Boko Haram member, said that the sect had nothing to do with Islam, as it was mainly involved in armed banditry, looting and killing of innocent people. Modu, who was captured on Oct. 6 after the sect’s early morning attack on Muslim worshippers in Damboa, Borno, said this in Maiduguri on Saturday. He told reporters that the sect succeeded in attacking innocent people during their operations. “We went on a mission to attack people in Damboa on Oct. 6, a few days to the last Sallah celebration. “We shot many people but I was also shot in the leg during the operation; I later became unconscious. “My people took me away at the end of the operation but they decided to dump me in a nearby bush because they thought I was dead. “I regained my consciousness in the morning before I was apprehended by security agents, who provided food for me and took care of my bullet wounds,” he said. Modu said that he was recruited into the sect by his cousin about a year ago. “He used to keep his gun in our compound in Maiduguri. One day, he said that he was not comfortable with me being outside the sect because I knew all his secrets. “He gave me two options: to either join the sect or be killed; so, I had no other option than to join the sect,” he said. 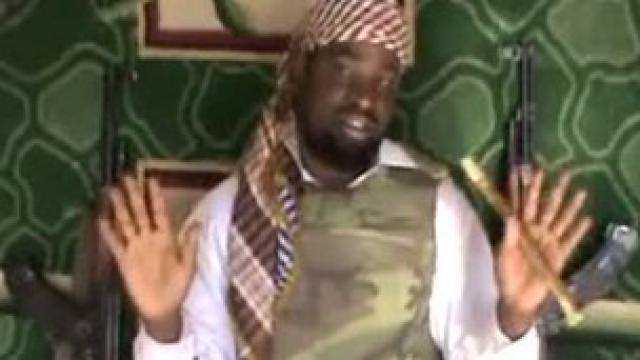 Modu said that he was given an “express training” on the handling of AK 47 rifle as soon as he joined the sect. “We were always given orders to attack individuals without questioning until we finally relocated to Marte in Marte Local Government Area of Borno during the middle of this year,” he said. Modu said that his group comprised about 150 militants, who took refuge in a nearby bush after the military invasion of Marte camp. “We were kept in the bush by our commanders; sometimes, we survived on filthy water because we did not have access to safe water and we barely had something to eat,” he said. Modu said that most of the “foot soldiers” of the Boko Haram sect had wanted to abscond but they could not do so because of the fear of being caught and executed. “Our commanders usually conduct roll-calls on a daily basis to prevent anybody from running away; once you are caught, the penalty is death,” he said. Modu said that many “foot soldiers”, who tried to escape at the camp, were summarily executed. “Any time we carry out an attack in a place, we steal food, drugs, money and everything we need. “Sometimes, I feel guilty of committing crimes against God but our commanders always tell us that it is God’s work that we are doing.